Do you love the historic Downtown Minneapolis Mill District? Do you love modern design, floor to ceiling windows, and luxury finishes? If so, 164 unit condo community Stonebridge Lofts could be your new home! 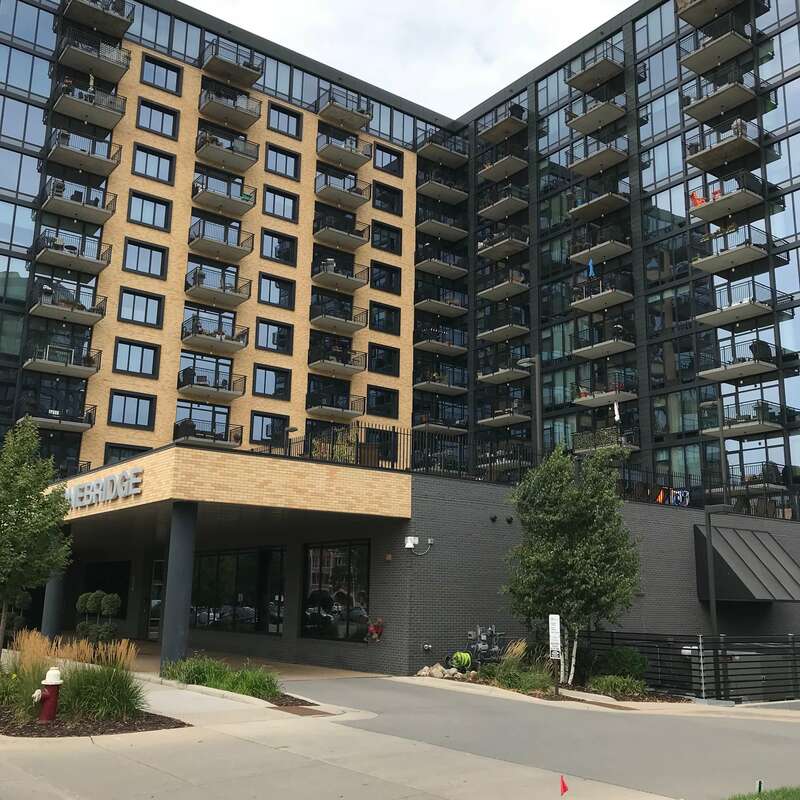 Located immediately east of the Gold Medal Park and in the heart of the desirable Mill District, Stonebridge Lofts offer a great location to parks, city views, Mississippi River, shopping, and nightlife! Stonebridge Lofts have some of the top shared amenities for their residents. Below are some of the perks available to owners. 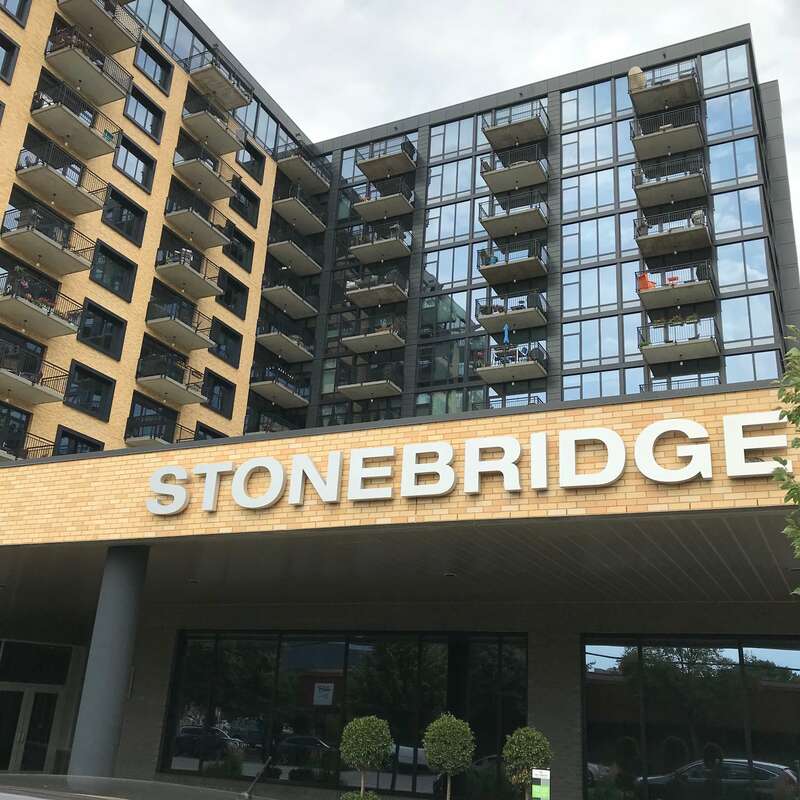 Browse all available Stonebridge Lofts condo listings and contact a Pro Team agent to schedule a showing. All dogs must be registered annually with the Stonebridge Building Manager by July 1 of each calendar year, using the Pet Registration form. There is a $100.00 annual fee per dog, collected at the time of registration. New pets must be registered within 30 days of their arrival at Stonebridge. If Owner/Occupant fails to register their dog(s) within the 30 day window, then a penalty of $100 per month will be assessed until registration is complete. Common, domesticated house pets such as dogs, cats, fish, birds and/or other animals commonly raised as pets and allowable by city ordinance (“Permitted Pets”) may be kept by an Owner and/or Occupants within their Unit. No other animals may be kept anywhere on the Property. Owner and/or occupants are responsible for ensuring that pets are kept in appropriate cages, tanks or kennels. Each Unit may house a maximum of two pets of any kind (excluding fish). A pet must be housed and maintained exclusively within the Owner’s and/or Occupant’s Unit, except when under direct control of the owner and/or occupant or other handler on a leash. Outdoor pet enclosures of any type are prohibited. No pet may be left unattended outdoors, including on balconies. It is preferred that dogs be brought to the dog relief areas through the P1 garage entrance and the guest parking entrance near Izzy’s. Animals are specifically prohibited from areas of the property marked with signage. Pets are prohibited from relieving themselves on or in close proximity to the building structure. Permitted pets may be walked on the Property only in accordance with local leash laws. Any repeated or prolonged disturbance by a pet, such as noise, odor, waste or threatening or nuisance activity is subject to fines and/or removal per the schedule above. Pet Owners are responsible for paying for any personal injury or property damage caused by their pet(s) and shall indemnify, hold harmless and defend the Association, and its officers and directors, and other Owners and Occupants, from and against all loss, damages and liability of any kind arising out of any act of the pet. Pets are to be leashed at all times in all common areas inside and outside of building (except inside dog run). Pets are not allowed in the Community Room, Gym, or Pool Deck at any time. Leashes are to be retracted to no more than 6 feet in length while on property (inside and outside). Owners, occupants and handlers are responsible for all pet waste and shall immediately clean up after their pet in all common areas inside and outside the building. Pet waste must be promptly picked up and disposed of in outdoor garbage receptacles, or in the trash room on P1. No pet waste is allowed in the trashcans by the elevator lobbies and waste may not be dropped in the trash chutes. In the event of an indoor accident, the pet owner is responsible for immediate cleanup, and for immediately contacting the management company for special chemical cleaning to avoid repeat incidents. Pets are not to be left unattended on balconies and may not relieve themselves on balconies. Pet grooming (brushing, clipping, washing, nail trimming) is not permitted on balconies or in any public areas of the Property. Owners and/or occupants may house guest pets for a maximum of 6 months, with no renewal of the period. Any extension of this guest period requires board approval. 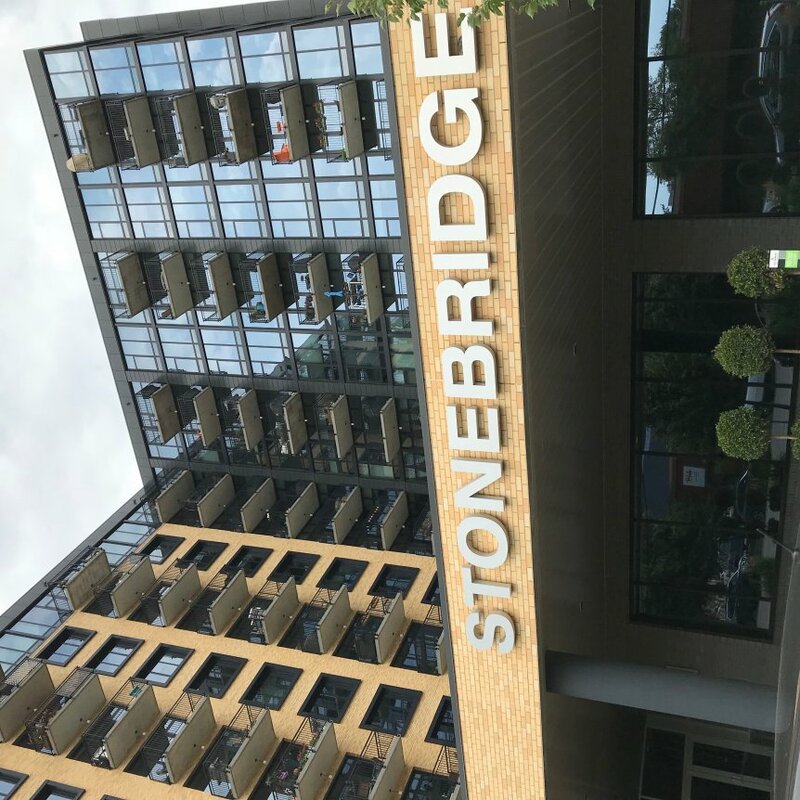 Renters are subject to all Stonebridge pet rules. Owners are responsible for ensuring that renters adhere to the rules and will be fined for any rule violations by renters. In the event of a decision by the Board to remove a pet from the Property, the Board’s decision may, upon written petition of the pet’s owner, be appealed to a vote of other Homeowners at a meeting of the Association provided, that the pet’s owner must pay the cost of calling and holding the meeting. Dogs identified as “dangerous dogs” as defined in MN Statute 347.50 will be immediately removed from the Property with no warning, review or appeal.